My article, Occlusions of the Operational Sequence: A Coincidental Conversation between Robert Matthew and André Leroi-Gourhan in Six Diagrams which I’ve already blogged about here and here has been published as a chapter in Architecture and Anthropology edited by Adam Jasper. It is utterly unaffordable but very readable, so make sure your library has a copy! Both architecture and anthropology emerged as autonomous theoretical disciplines in the 18th-century enlightenment. Throughout the 19th century, the fields shared a common icon—the primitive hut—and a common concern with both routine and ceremonial human needs and behaviours. Both could lay strong claims to a special knowledge of the everyday. And yet, in the 20th century, notwithstanding genre classics such as Bernard Rudofsky’s Architecture without Architects or Paul Oliver’s Shelter, and various attempts to make architecture anthropocentric (such as Corbusier’s Modulor), the disciplinary exchange between architecture and anthropology was often disappointingly slight. This book attempts to locate the various points of departure that might be taken in a contemporary discussion between architecture and anthropology might look like. The results are radical: post-colonial theory is here counterpoised to 19th-century theories of primitivism, archaeology is set against dentistry, fieldwork is juxtaposed against indigenous critique, and climate science is applied to questions of shelter. 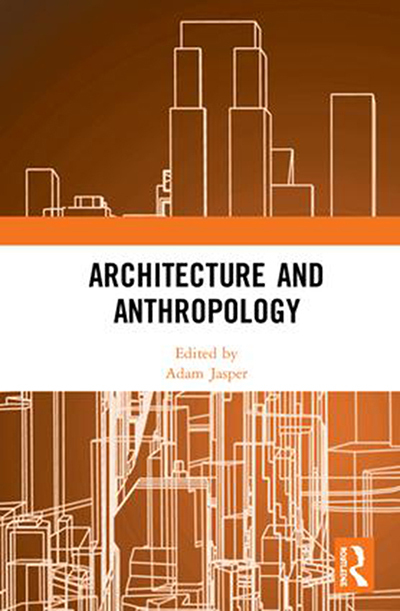 This publication will be of interest to both architects and anthropologists. The chapters in this book originally published within two special issues of Architectural Theory Review. In the 1960s, with western narratives of technical progress at their height, Robert Matthew, then president of the Royal Institute of British Architects, and anthropologist André Leroi-Gourhan independently advocated totalising, systematic, technical models of human progress. Each model a reflection of the aims and methods of their own discipline: for the anthropologist, the evolution of Homo sapiens from Homo faber and the dissolving of human/technological boundaries; for the architect, a “collective welfare-socialism” and the systematisation of its built manifestations. Each of these models made manifest, I argue, through profoundly influential diagrams. Leroi-Gourhan’s chaîne opératoire describes the manufacture of prehistoric stone tools whilst the RIBA’s Plan of Work describes the design and construction of buildings. Through the embodied objects and processes of these diagrams this paper sees “chaîne” and “Plan” engaging in a kind of reciprocating exchange: a diagrammed conversation revealing, for each discipline, processes occluded or overlooked in the other. Alessandro Zambelli, “Occlusions of the Operational Sequence: A Coincidental Conversation between Robert Matthew and André Leroi-Gourhan in Six Diagrams,” in Architecture and Anthropology, ed. Adam Jasper (London: Routledge, 2018).